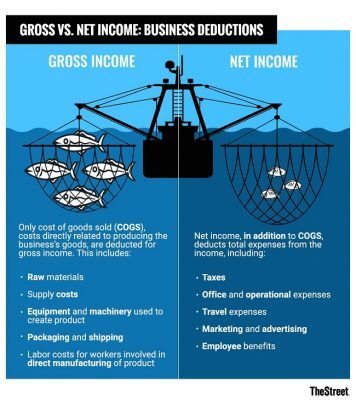 Gross vs net is a very important difference to note in finance and business. These terms are related to each other but don’t mean the same thing. In general terms, gross refers to the total amount. In contrast, net refers to the amount after the applicable deductions have been made. In other words, the net amount of something is only a part of the total gross amount. What these amounts are will depend on the subject matter. Gross and net are terms that cannot be used on their own because on their own it is not clear what is referred to. Gross and net only make sense when combined with the specific subject. Examples are gross income and net income, gross profit and net profit, and gross assets and net assets. In each case, gross refers to the total of the subject matter and net refers to a portion of the total. These examples show that gross vs net can mean completely different things depending on the subject matter. Gross assets is not the same as gross income, for example. How to calculate the gross amount and net amount will also depend on the subject matter. Calculating gross income for an employee requires different figures to calculating gross profit for a company. The differences in gross vs net can therefore only be explained properly when used in context. 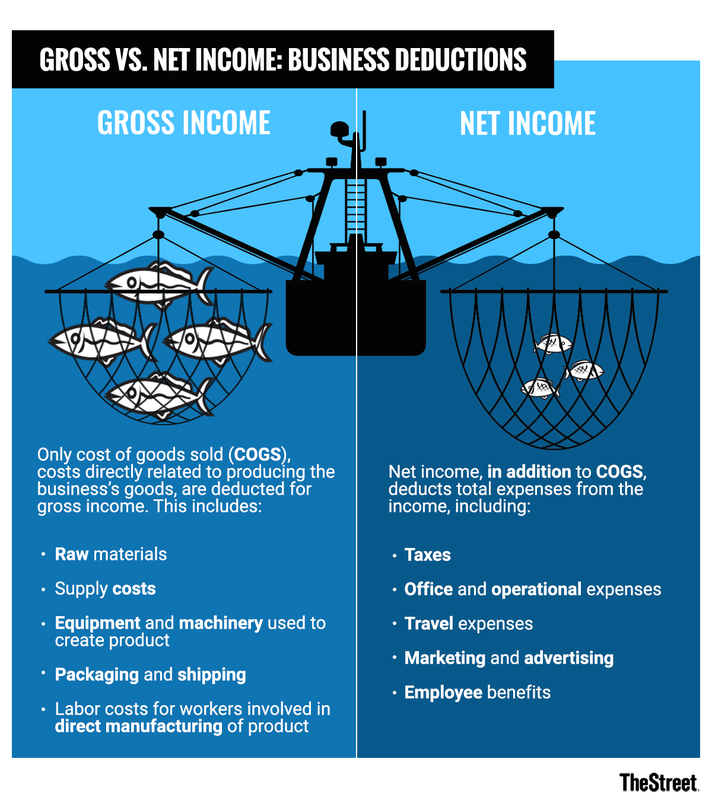 Gross income vs net income refers to the salary of an employee before and after deductions. The gross income of an employee is all the wages earned, including any bonuses, overtime wages, and other monetary incentives. This can refer to the annual gross income or the gross income per pay period. Gross income is not the amount that the employee will receive on his or her paycheck. What appears on the paycheck is the net income of an employee. The net income of an employee is the amount left over after all the applicable deductions have been made. Deductions include state and federal taxes, insurance fees, contributions to pension funds, and possibly debt payments. Gross profit vs net profit for business refers to the amount of profit made by the business. The terms gross income and net income for businesses are used interchangeably with gross profit and net profit. 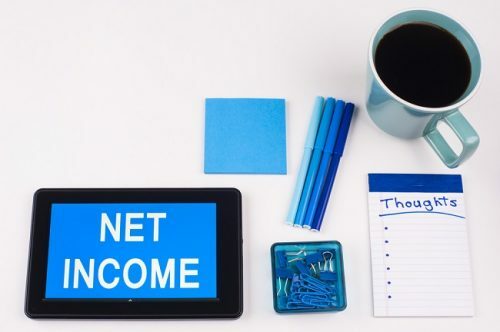 Gross earnings and net earnings also refer to the same thing. Gross profit refers to the profit of a business after deducting the total costs of the product or service sold from gross revenue. A further deduction is made to calculate net profit. Net profit is the profit of the business after all expenses have been deducted. This includes taxes, costs related to the workspace, marketing, and any other expenses. The figure below lists the different expenses associated with gross vs net income for businesses. Gross margin vs net margin refers to the profit of a business in comparison to its revenue. Gross margin or gross profit margin refers to the relationship between gross profit and gross revenue. The net profit margin refers to the relationship between net profit and net revenue. Both indicate how profitable a business is. Gross margin and net margin are calculated as shown below. Both figures are usually expressed as a percentage. Gross domestic product and net domestic product are macroeconomic terms. They are usually noted with their abbreviations—GDP and NDP, respectively. These terms refer to the value of goods and services produced on a national scale. GDP is the total value of goods and services that a nation produces within a specific time period. The NDP deducts depreciation from the gross domestic product. Essentially, NDP is a capital adjusted value of a nation’s GDP. 1. Which of the following statements is not true about gross profit? A. Gross profit is the same gross earnings. B. Gross profit is the total earnings of a business before cost of goods sold has been deducted. C. Gross profit is the total earnings of a business after the cost of goods sold has been deducted. 2. Now that you have an understanding of what gross and net imply, consider the terms gross revenue and net revenue. Which of the definitions below fits best? A. Gross revenue is a real term because it refers to the total income of goods sold. Net revenue is not a real term because net revenue is the same as gross profit. B. Gross revenue is the total income from goods sold. Net revenue is gross revenue minus the costs of sales such as commissions, discounts, and the cost of returns. C. Gross revenue is the total income from goods sold. Net revenue is gross revenue minus operational costs. 3. Can you calculate gross income for employees and businesses using the same equation? A. No, gross income for employees and gross income for businesses concern different subject matters so the calculations are not the same. B. No, gross income for employees can only be calculated after gross income of the business. C. Yes, gross income for employees and gross income for businesses can be calculated using the same equation because they are similar subject matters.